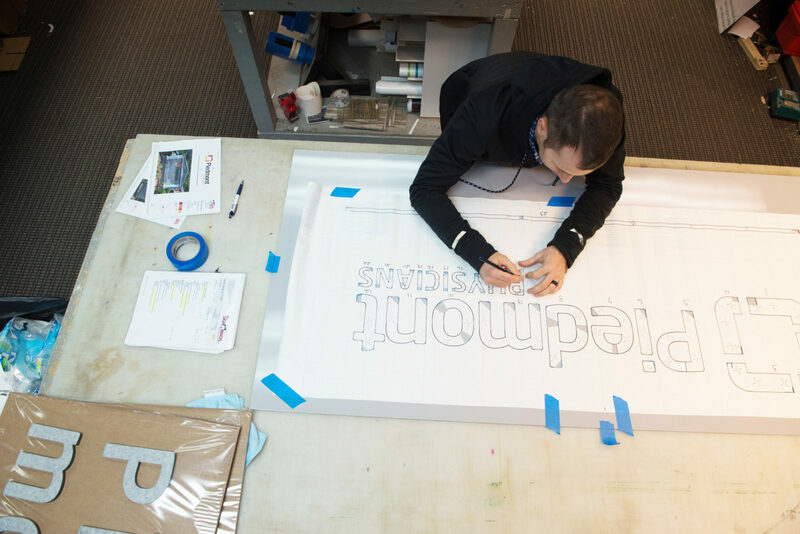 As a custom sign manufacturer, we find our greatest victories when we dive deepest into our craft. 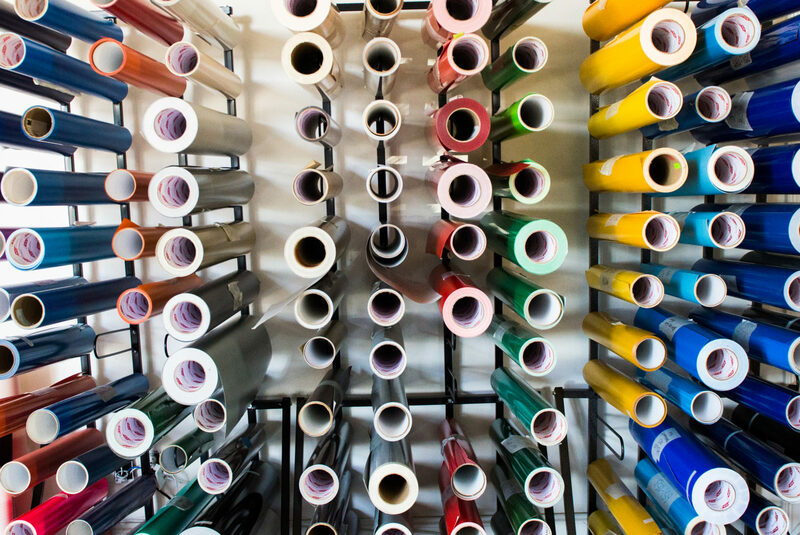 With each project, we try to match client expectations with distinct, impactful designs. 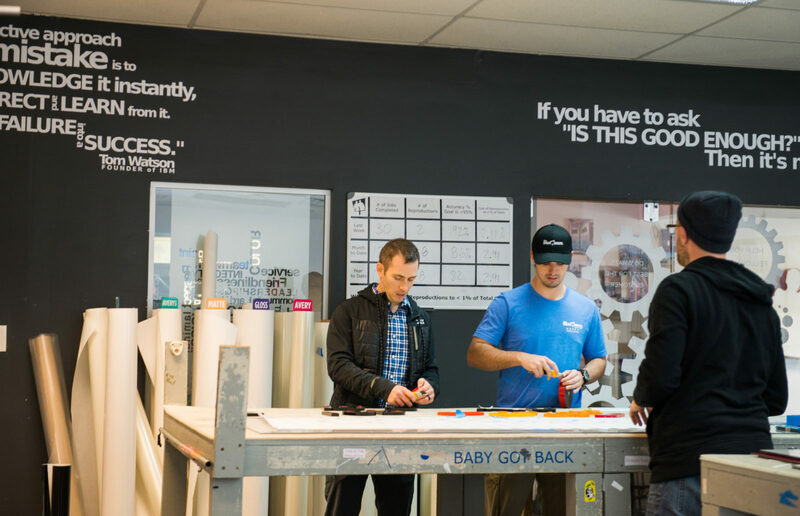 Our tight-knit culture shines when our design team can think like an installer, and when our installation team can think like a customer-service representative. We continue to grow in this business because our clients trust in our reputation to communicate effectively and produce quality work. 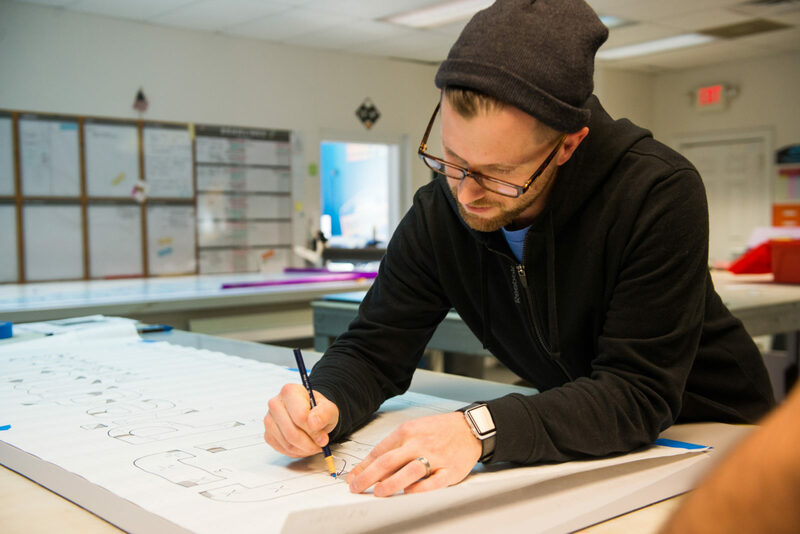 Whether creating concepts for an interior architectural installation, or designing a fleet of vehicle wraps, our designers understand that each of their graphic designs serves a unique purpose. Our designs inform, identify, advertise and direct, and we keep in mind that form follows function. The secret to our business is that we do what we say we’ll do. We are not happy with a project until our clients are happy with it. It’s one of our core values for a reason. We build professional grade signage, and we build things to last. 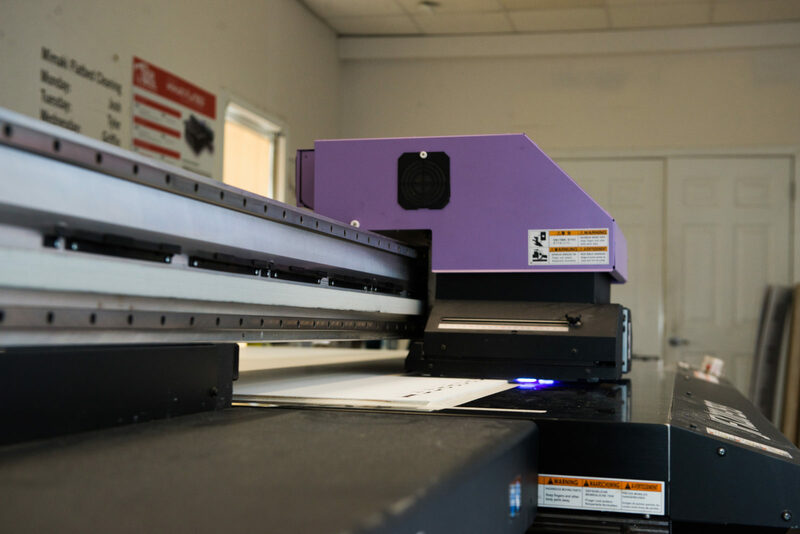 With decades of experience, we have produced just about every type of sign there is. Our team finds satisfaction seeing their work on public display every day, for years at a time. Our reputation is out there on display, too, so you can rest assured that we will stand behind the quality of our products from beginning to long after the project is completed.